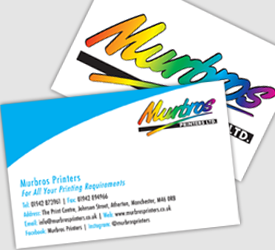 Here at Murbros Printers we understand that professional printing is more than just putting ink on paper. With over 40 years experience, you know you can trust our experts to deliver a top-quality printing service. Our highly creative design team offer a range of design and formatting services, whether you need a full design or technical advice with your own artwork, we are happy to assist however we can to ensure your final product is the best it can be. A family run business ever since we first opened in 1972, we at Murbros are continuously evolving with an ever-changing industry. We offer all our clients a fully personalised service based on our unrivalled industry experience. 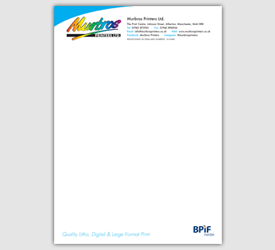 Murbros printers strive to offer competitive prices for very high quality end-products and we even offer free delivery to clients within a 25 mile radius of our print centre between 8am – 4pm on orders over £50. Great artwork is vital to achieving a great end product. Our highly-experienced team of artwork professionals are on hand to assist with all your design requirements. We offer a variety of different printing processes to ensure we can produce print to match all of your needs. 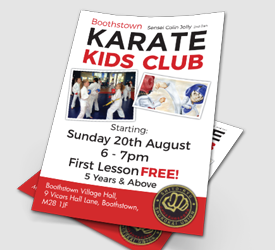 We can print anything from business cards and leaflets to large banners and posters. Once your top quality products are printed, we provide a number of binding and finishing services that add a great finishing touch to your printed product. Murbros printers Ltd have done a 5 star job on the order of services we asked for. Twice we have used them for this work and they have excelled every time. So happy about something so sad. Thanks to everyone involved your ace . A fabulous service, design help, quick turn round and very reasonable costs, can’t praise them highly enough. Could not wish for a better printing company. Superb Design & Print. Exceptional quality. Fast delivery week on week. All staff are always helpful and friendly. Nothing is ever to much trouble. Would not go anywhere else! Thank you Murbros for your usual quick, friendly and efficient service for the New Garrett Theatre’s, Peter Pan the Panto, programs, leaflets and posters. We always leave it late but you always pull out all the stops. Quick, cheap printing, yet to a very high standard. Visited Carl and the team twice within the last 3 weeks and on both occasions they have been spot on for my requirements. Everything about Murbros is 5 star. Staff are really friendly and very helpful even when your unsure of exactly what you want. Highly recommended. Fantastic company with excellent quality products at very competitive prices, would recommend to everyone. 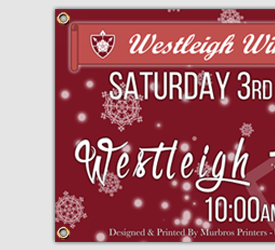 Exceptionally happy with our all our prints ,glossy posters & banners. Will not hesitate to use in the future. Extremely happy and impressed with the value and quality of work that this company produced for my business. Highly recommended to anyone! Murbros went above and beyond to help me realise the vision I had for my project, can’t recommend them highly enough. Fantastic, personal service. Just received my leaflets, cards and vouchers and I love them. I received my proofs on the same day of ordering and had them delivered to me within 2 days of ordering best printing company I know and the staff are so polite and helpful. Highly recommend. Fantastic company to do business with. They have produced many flyers and brochures for our company resulting in increased revenues. Nothing is too much trouble for their highly skilled and friendly staff. They are also very competitively priced when compared to online printers.